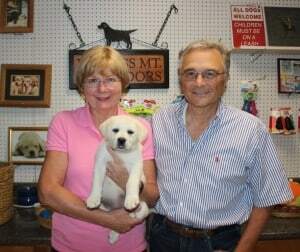 This last weekend we had a litter of 8 pups meet their new families and go on to their furever homes. 🙂 There were 5 girls and 3 boys in the litter. 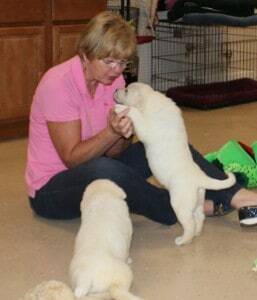 Watching each person interact with the pups and try to make their decision was entertaining, to say the least! I watched every family that came, struggle to decide which puppy was meant to be with them. Looking, asking for a sign! Because let’s be honest, all of these puppies were exceptionally cute. 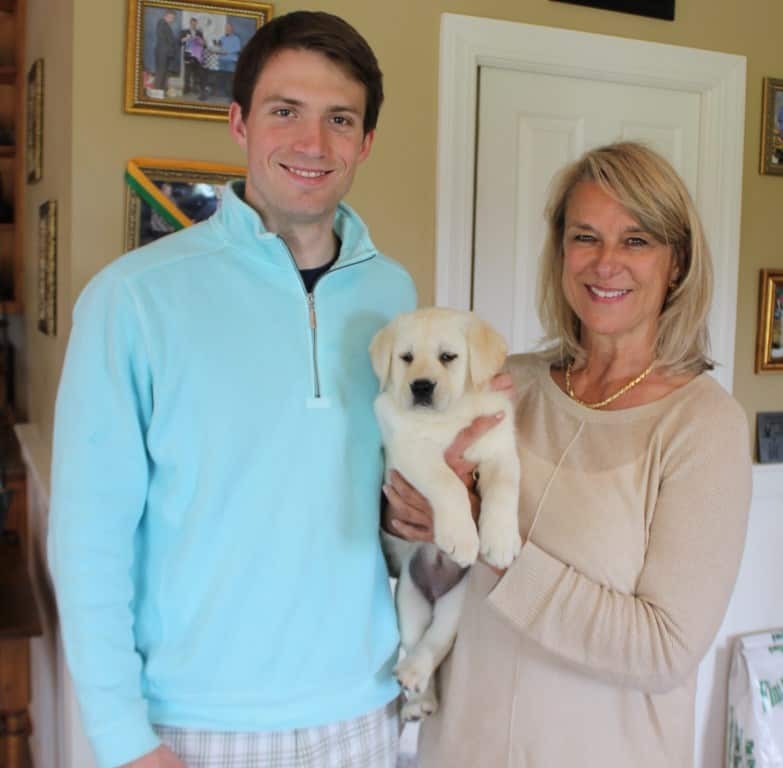 Here is the Magic, Secret Tip to Picking the Right Puppy…. 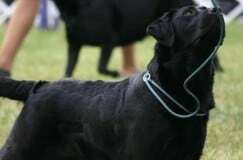 What most people find when they meet our litters, is that temperament is consistent. 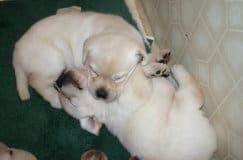 When you go to a reputable breeder, who is breeding for temperament… it is not like meeting a litter of pups advertised in a newspaper ad, where the spectrum of temperament is all over the place. Now personalities, they may differ. But personalities will also continue to be shaped and molded in their new homes. 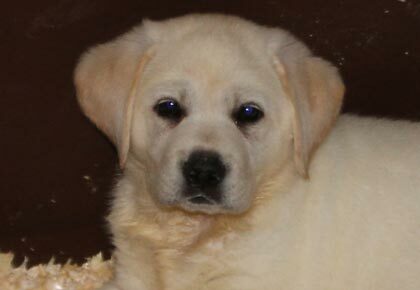 The first 16 weeks mold a puppy. The first 8 they spend with the breeder, being socialized, etc. The next 8 they spend with you, and the same things need to be carried out. Socializing, training… environment is a big factor. Everyone has their own method of picking their pup. Some want our input, and we can tell you what we would keep based on show potential, etc. Others let their children pick the puppy (though I’m cautious at this method, as typically Mikey will inevitably decide he likes a different puppy from the one Susie likes!). Most of the time it’s which one seems to stick right around them as they sit and play with the pups. Sometimes a certain set of eyes will forever melt your heart and claim you. The pictures above show the Wilkins trying to decide which of the 5 yellow girls was to be their Gracie. The challenge was more than they anticipated! But they finally, somehow narrowed it down to one. Something about the way she looked at them and held eye contact when I held up the two girls they were trying to decide between. She stole their hearts. 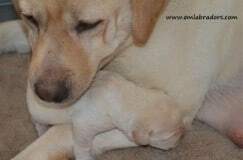 We often hear that someone is very particular about having “pick of the litter”, or they want to have a choice between pups. To clarify, the breeder will always have pick of the litter. We also take reservations based on color/gender. So you may end up with first pick of chocolate females in the litter, etc. Or you may end up with “last pick” of the chocolate females in the litter. I have never had someone not feel comfortable taking the “last” pick puppy. 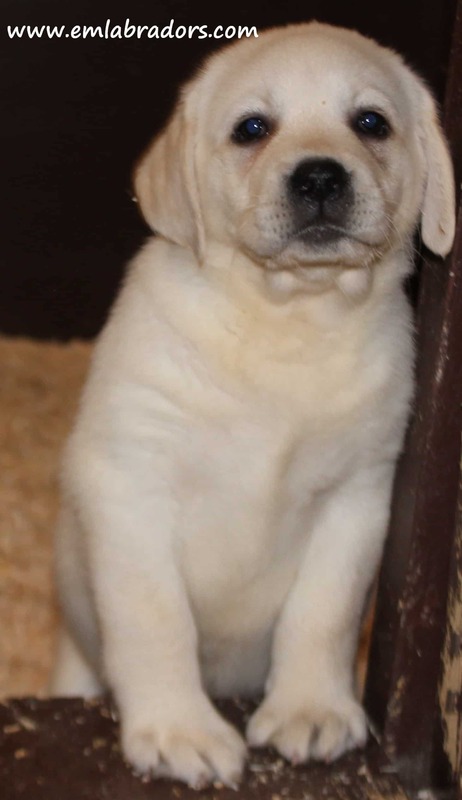 I even commonly have people say, “Please don’t make me pick, just give me a puppy!” This is usually because those people realize there is no wrong choice… And that folks, is the bottom line. Pick the puppy that seems to make her home in your lap. Or can’t stop giving you kisses. Or pulled the puppy collar right out of your back pocket (Yes, I’ve seen this happen! )… But there is no special formula to picking the puppy meant for you. Sometimes it’s a coin toss and you would be perfectly happy with any of the furry loves romping at your feet. Sometimes the puppy doesn’t give you a choice and clearly picks you. I promise that you will love and cherish this pup, and she will live her life with you as though you were the one meant for her. Ready to make the commitment?? 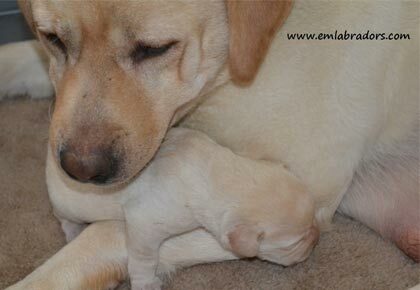 Inquire about our Upcoming Litters here! Am I crazy to want two puppies?? great information from you. 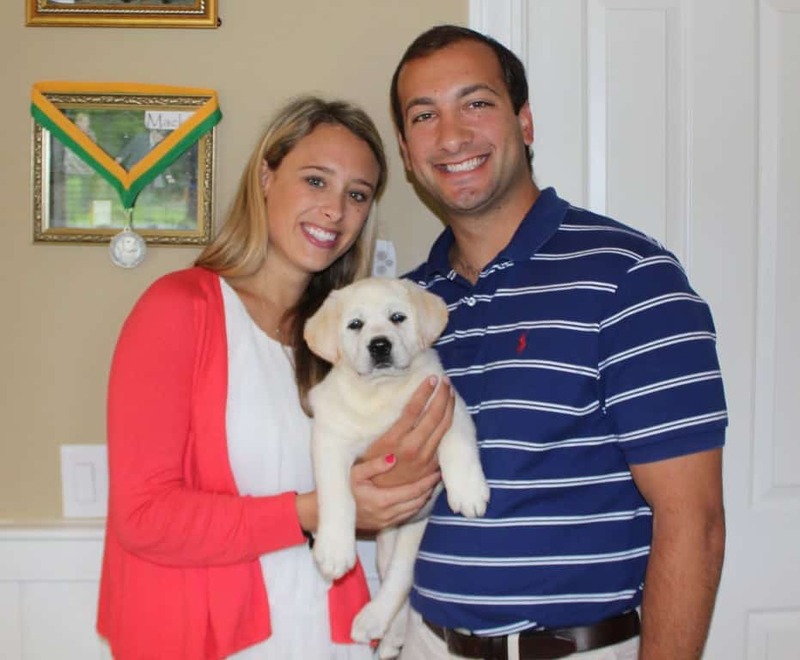 you are right about, “there is no wrong choice.” we picked theo up from you about 6 weeks after putting our other wonderful lab down. i came to you with a broken heart and went home pretty much mended. 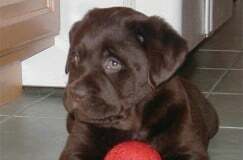 for anyone who thinks it can be too soon to get a pup after the passing of your old friend, i can testify it helped the grieving process more than time ever could. thank you for these wonderful animals. hope vegas and atlas are doing well. they certainly made great offspring. blessings to the WHOLE team. 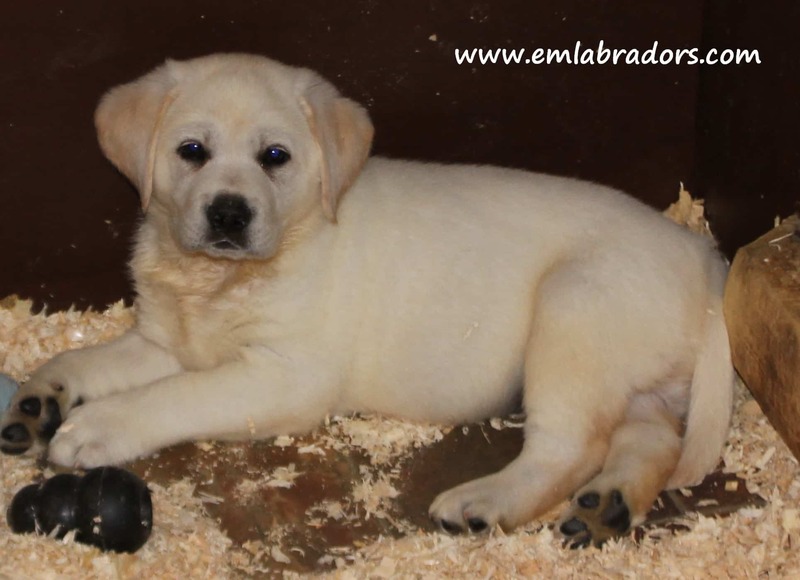 I am looking for a yellow female English pup ready to come home with us in April. Will you have one, and if so where exactly are you located. What price are your females and do you post pics. Of your litters? 412 849 6208. Wayneen. Thank you. 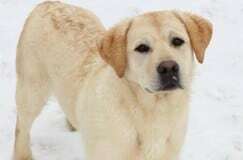 Thank you for all this great information about finding the perfect Labrador for our family! It’s interesting to hear that the first 16 weeks are the most crucial to mold a dogs temperament and training. We just moved into a home and are ready to bring home a dog and all of these tips will help us in our search. I need to know If I can afford this precious gift. 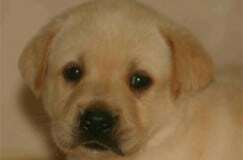 Ever since my dog passed away, I have been looking around for puppies. My previous dog was adopted at about an age of 8, so I do not have prior experience in bringing or choosing a puppy. Great information!